Some books become unforgettable because of their impeccable storylines; some because of their resilient and dazzling central characters; and while some achieve a cult status because of their terrific dialogues and the author’s ability to pack sentences sublimely so that the reader is forced to keep the book down for a moment- to discern the exemplary beauty of the words he just read, and to savour their subtle meanings in awe and appreciation; some become memorable owing to the elegant and scintillating writing style of the author. 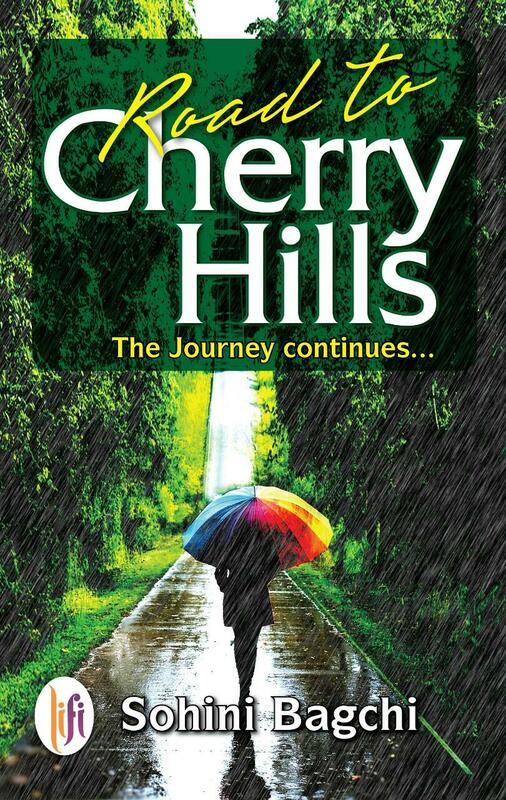 The author Sohini Bagchi comes up with the book “Road to Cherry Hills” which falls in the second category, for it portrays a strong and memorable character which will remain with the reader long after he has read the last page of the book. The title of the book is exceptional and intriguing, and is also slightly suggestive of a travel memoir, though the blurb clearly indicates the book to be a fiction. However, the book is a travelogue in another sense, since it details the arduous journey of the protagonist and her road to self-discovery. The front cover of the book is appealing, and the coloured sketch shows a silhouette of a girl with an umbrella standing on a road, which is surrounded by hills and scenic lush greenery. This picture is very much similar to the beautiful descriptions of the picturesque Cherry hills in the book. The blurb at the back cover offers a genuine insight into the story. The storyline follows Rimjhim and her dilemmas, trials and tribulations, when faced with many hurdles and obstacles. Rimjhim, in her college days at Cherry Hills Media School, meets Ankit and falls in love with him, and thinks her life has changed forever. Of course her life changes, but takes a different turn as she finds herself fighting her own battles, as a single mother and successful professional. She does so with a strong will power to overcome such difficult times, and the book details this difficult journey of hers, and how she emerges victorious by glint of her perseverance. Though the book is a contemporary romance, it is more of a motivational fiction. The character portrayal of Rimjhim is well-layered and explored in depth, but the characterisations of the other characters like Ankit, Bhaskar and Karan need more detailing and back stories. The narrative of the book is plain and simple, and as there are no significant subplots, the story after a point becomes somewhat monotonous. The writing style is good, even lucid at places, but more use of adorned words would’ve made the narrative better. Adroit editing also needs to be done at places. The ending becomes predictable in the last few chapters and the book doesn’t put up much twists and surprises, but it is the protagonist and her inspiring journey that is the heart of the book. This is a book that should be read for the impressive depiction of a strong-willed and inspiriting protagonist who faces many challenges in her life journey but deals it with head on and emerges victorious. The challenges that single mothers face in the contemporary society are also detailed well, and though the premise of the story is somewhat clichéd and the ending tad predictable, the readers will enjoy reading the motivating journey of the protagonist.